The Toyota Corolla has been one of the most popular smaller cars in the world for decades. This is based on the vehicle's reliability and its great features. 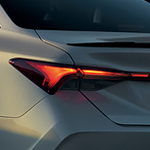 For 2020, the Toyota Corolla has been completely redesigned. Even with this redesign, the Corolla still retains its best qualities that its owners know and love. The first Tuesday of every month we introduce a different face of #SteetToyotaJohnstown to help you get to know us better! This month, we’re introducing our Finance Manager, Eric Askew! The 2020 Toyota Corolla reviews are rolling in and they're pretty great! Described as a "standout" and "dazzling," the new Corolla adds performance and safety features and even a Hybrid model. Full size sedans have been gaining in popularity among consumers for quite some time. This is largely due to their additional storage space while also keeping a sportier look on their exteriors. This is exactly why we here at Steet Toyota of Johnstown can't wait to tell you all about the arrival of the all-new 2019 Toyota Avalon. First, the Avalon exterior comes fully equipped with an LED headlight system. These headlights shine brighter than most other headlights and last far longer making them the more cost-effective lighting solution for all vehicles. 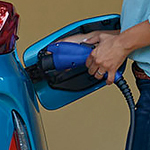 Buying a fuel-efficient vehicle is the first step to getting the most fuel economy possible. If the vehicle you are driving gets 10 mpg, there's not a lot you can do to improve its fuel efficiency. Driving a car or SUV from the Toyota lineup gives you built-in fuel economy from the first mile you travel. Local Woman Returns Cash found in Johnstown, NY! The woman who lost her family in the late 2018 limo crash in nearby Schorarie, NY, was reunited with thousands of dollars in savings after it blew off of the top of her vehicle. Terri Brubaker was driving down the road running errands and noticed hundreds, tens, twenties and other money flying through the air! She pulled over to collect it, and then turned it in to the Fulton County Sherriff's Office right here in Johnstown, NY! If you're looking for a quality used car, the certified pre-owned vehicles offered by Toyota should be on your list. 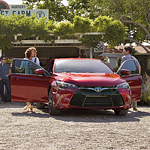 Toyota offers a variety of benefits that help you get the most for your money. For example, you get a full year of comprehensive coverage, which can be helpful if something happens while driving around Johnstown.